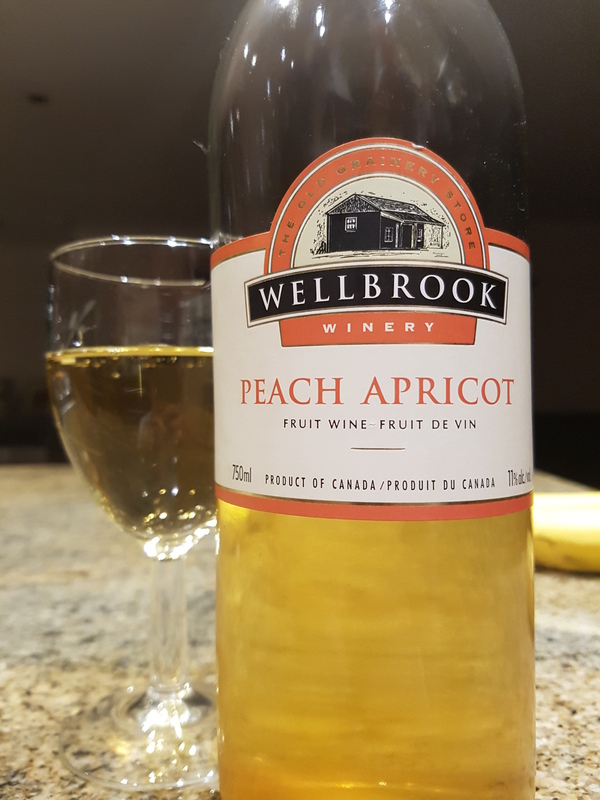 Peach Apricot Wine – Wellbrook Winery (Delta, BC, Canada) | Justintoxicated. Taste: dull acidic tangy sour muddly apricot weak peach apple juice exhale. Visual: Synthetic cork. Pours pale apple juice yellow with barely visible micro suspended sediment, large bubbles hugging the glass, no activity. Summary: This is the first table fruit wine I’m trying and it’s definitely not up to par with their fortified fruit wines that I’ve previously reviewed. While their fortified fruit wines have depth and structure, this one tastes dull, thin, and leaves the palate dry and rough. Peach should be bright and engaging whist apricot should have a stone fruit luscious body – neither of which are present in here. Barely drinkable and not recommended.